Turn your eyes to France, justice enthusiasts, because there’s quite a case unfolding across the Atlantic. A woman is currently on trial for allegedly bilking people out of hundreds and in some cases thousands of dollars, with pie-in-the-sky promises they could make and sell fancy cheeses to French beauty product producers. Hell, if they farm skin, who’s to say they’re not in the market for cheese? 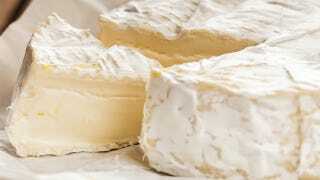 What French Women REALLY Know About Beauty: It’s Cheese! “We are modest people here, casual workers and we got more and more into debt so that we could get into the business,” she told Reuters as she prepared to file her claim with visiting French investigator and examining magistrate Sylvie Gagnard. She produced the cheese at home following instructions to mix the ingredients with milk and ferment them for two weeks. The small, round cheeses she believed would be turned into expensive beauty products ended up on the scrap heap. It’s hard to imagine a jurisdiction tougher on an alleged cheese swindler than France, though.